After a tower shifted downhill this spring, the City of Steamboat will again fix Howelsen Hill’s chairlift rather than replacing it. In the Jay Peak fraud case, former resort owner Ariel Quiros and executive Bill Stenger settle with the State of Vermont for $2.1 million without admitting wrongdoing. In a separate class action lawsuit, a group of Jay Peak investors allege more than 100 immigration lawyers received $5 million in kickbacks from the resort, creating undisclosed conflicts of interest. The federal government orders an immediate shutdown of the Vermont EB-5 Regional Center, which allowed foreigners to invest in ski resorts such as Jay Peak and other businesses in exchange for green cards. No big deal: a Chinese theme park might build three 3S gondolas. A lawsuit by the State of Maine seeks to finally right the tragedy that followed the sale of a public ski resort to a private company which ran it into the ground. Mt. 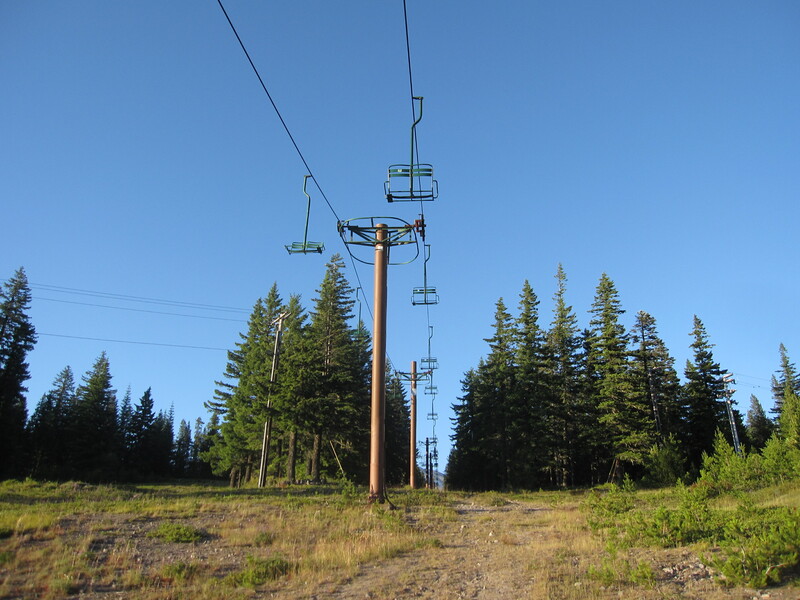 Snow confirms its next logical lift upgrades will be in Sunbrook and Carinthia. Hermitage Club members could lease Haystack Mountain to reopen next season but Berkshire Bank will not. Homeowners may have a senior lien on the Barnstormer six-pack but would need to pay for $300,000 of lift maintenance to reopen. Even though his purchase of Saddleback never closed, Australian businessman Sebastian Monsour did spend $400,000 on the closed Maine ski resort last year. Hopefully some went to lift maintenance! Peak Resorts reports record fourth quarter revenue, up 9.3 percent over last year to $56 million with EBITDA up 3.9 percent to $21.5 million. Arizona Snowbowl reopens tomorrow after a month-and-a-half fire danger closure. 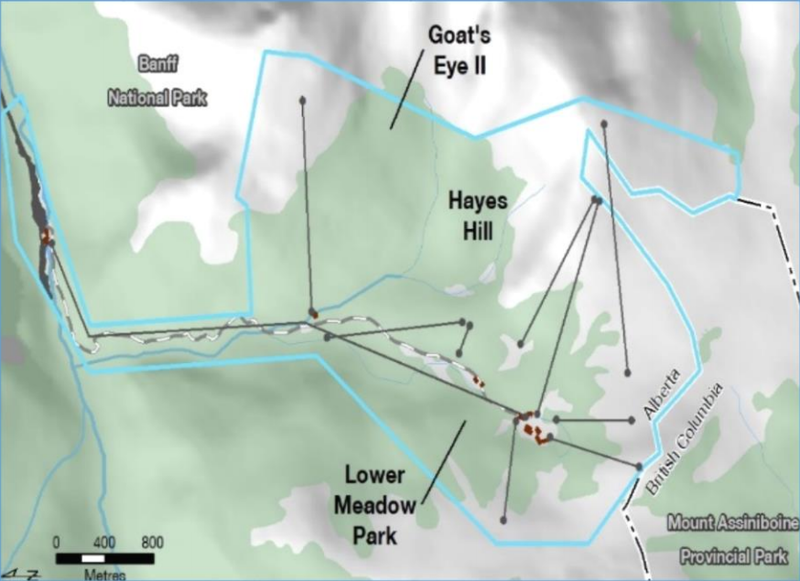 Parks Canada seeks public comments on possible Sunshine Village lift and terrain expansions into Goat’s Eye II, Lower Meadow Park and Hayes Hill. Another new lift could eventually parallel the gondola. Overview of proposed Sunshine Village expansion areas. Other acreage would be removed from Sunshine’s area of occupation to compensate for environmental impacts of expansion. Immerse yourself in alpines forests while aboard Banff’s longest gondola. This 22 minute ride will take you 1,659 meters up to Sunshine Village. The Los Angeles Times reports this morning that Warner Bros. Entertainment is seeking to build a $100 million aerial tramway in California’s largest metropolis. The one mile, $100 million project would improve public access to the famed Hollywood sign atop Mt. Lee and include a new visitor center, viewing platform and walking paths. The company already operates a popular studio tour on the site of the proposed lower terminal. Given our close proximity to the north side of the Hollywood sign, we believe we offer a solution that has the least impact on the environment — protecting and preserving Griffith Park — and the surrounding residential neighborhoods. We understand there are a number of possible solutions being considered, but we are confident the City’s feasibility study will show our proposal to be the best option — an option that can be built and operated at no cost to the taxpayer and that will provide public benefit to the City of Los Angeles and its residents. The Hollywood Skyway project could take around five years to complete. 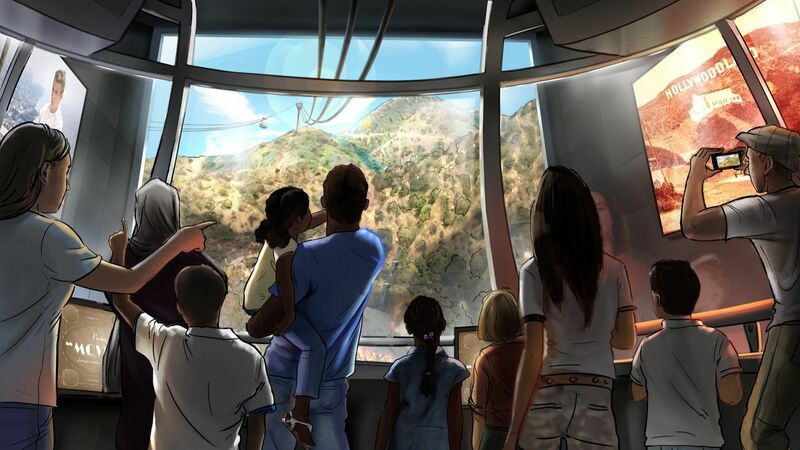 The chosen technology appears to be a reversible aerial tramway rather than a continuous movement gondola system. This surprises me given the large volume of potential visitors. The need for air conditioning could be a factor as well as a desire to build as few towers as possible in an urban park. In my view, a 3S gondola would be the best of both worlds and one Warner Bros. could likely afford. Projects & PlansHollywood Skyway, Warner Bros. The Province that owns Atlantic Canada’s largest ski resort grows tired of losing money and looks for a private operator for Marble Mountain. Doppelmayr will build the largest vertical six-pack in the world this year at Ischgl, Austria with over 3,000 feet of elevation gain in a single section. Boyne Resorts President and CEO Stephen Kircher says a recent bond sale and tax cuts should yield increased capital investment at his resorts over the next five years. Boyne doesn’t plan to buy new mountains any time soon, however. Fire update: Purgatory reopens summer operations, Arizona Snowbowl is still closed while Taos, Red River, Sipapu, Ski Santa Fe and Sandia Peak are under partial closures due to extreme fire danger. Antelope Butte, Wyoming has raised the $360,000 it needs to complete lift work and reopen next winter. Beartooth Basin ends its summer season early due to problems with the upper platter lift. Leitner is pulling ropes at 12,740′ for the highest-ever 3S gondola. Big Sky posts sweet photos from the Austrian factory where America’s first eight passenger chairlift and D-Line stations are being prepared for shipment. Chairs will have some unique designs on the back too. The Portland Aerial Tram returns to service 5:30 am Monday, three weeks early, thanks to crews slipping track ropes much faster than expected.